Ube cake (or Filipino purple yam cake) is unlike any cake you’ve had before. It’s sweet and earthy and deliciously purple! A staple in any Filipino celebration. Ube (or purple yam) is not unique to the Philippines but it is definitely a national favourite. It’s made into all sorts of treats like ice cream, candy, rice cakes and, my personal favourite, jam. I must admit, it is very difficult for me to describe how ube tastes like because it’s so unique it doesn’t taste like anything. Seriously. The best I can come up with is it tastes a little like sweet potato but that’s not even an accurate (not even close!) description. Looks like GQ had the same problem – see their article on ube here. Let me just say this – if a whole nation can be obsessed with ube, won’t you want to know what the fuss is about? So how about it? Ready to explore? When I went home last October, at the top of my foodie to-do list was to go to the Good Shepherd Convent so I can buy boatloads of ube jam that I can take back to Toronto. The Good Shepherd sisters are known for making excellent ube jam and it’s not uncommon for people to drive all the way there (Manila traffic notwithstanding) to get some. Mission accomplished. I can only bring so much given the (very annoying) luggage weight restrictions so I was treating my stash like gold. Time flies (or maybe I just like ube jam that much) and I am down to my last tub and I’m thinking, I should make something out of this (I mean, as opposed to just sitting on the sofa eating it like ice cream). but now, since I have the real thing, I thought to use ube jam. And the result was an ube cake that’s bursting with ube flavour I could cry. Ube cakes are technically chiffon cakes that taste like ube but this version, while still soft, is much denser, I’m thinking because of the jam which was very thick. But it is delicious nonetheless. And like chiffon cakes, you beat the egg whites separately until stiff. Then you fold your cake batter into your egg whites. Something needs to be said about ube Swiss meringue buttercream. Swiss meringue buttercream is my favourite frosting to make (I used it for my Rainbow Cake and for these Salted Caramel Cupcakes). Not as sweet as American buttercream, it is also more forgiving IMO. The ube frosting here is just to-die for. Just remember that the amount of ube extract to add is up to you. So taste and adjust to your liking. 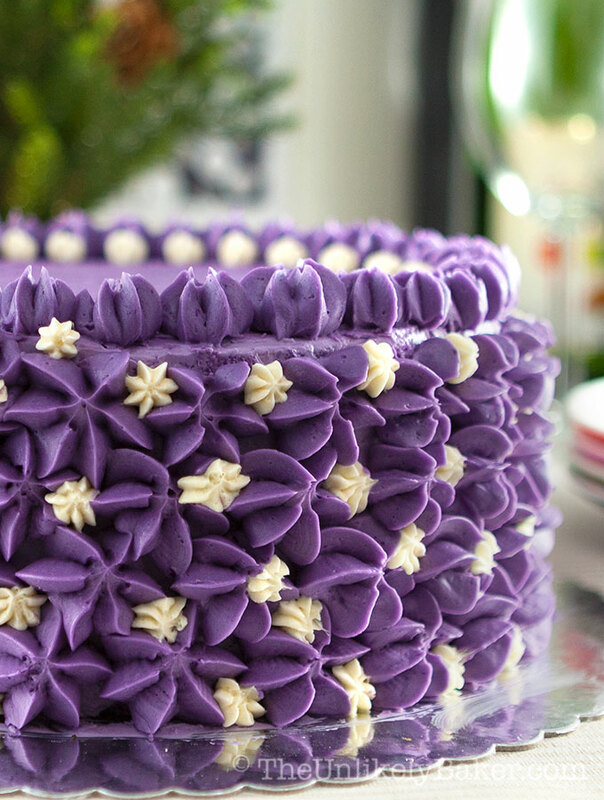 Like I mentioned before, Filipinos love Christmas and ube cake is a huge part of that. 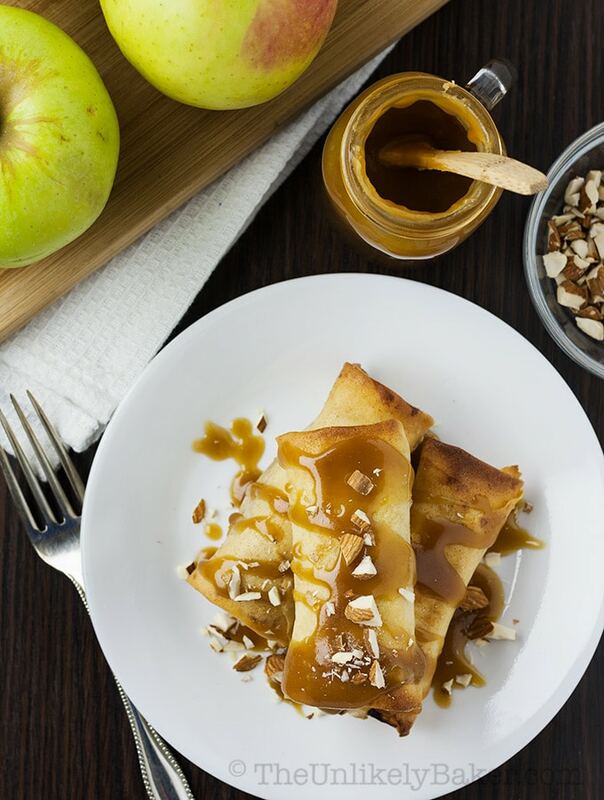 It will almost certainly be served and enjoyed at family gatherings during the holidays. 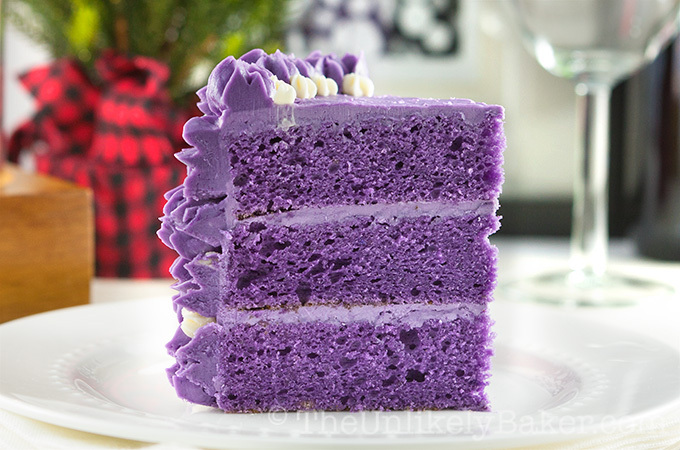 So if you’re looking to serve something unique this holiday season, why not take a crack at ube cake? I apologize for the awful job I’ve done of describing how it tastes like however, hope you believe me when I say it is absolutely delightful. Ube cake (or Filipino purple yam cake) is unlike any cake you’ve had before. It’s sweet and earthy and purple! A staple in any Filipino celebration. Preheat your oven to 350F. Line the bottom of 3 8-inch round baking pans with parchment paper and set aside. In a large bowl, sift 2 1/2 cups cake flour, 2 1/2 teaspoons baking powder and 1/2 teaspoon salt. 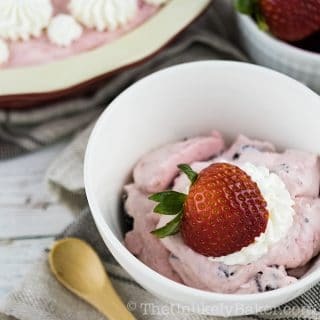 In a smaller bowl, combine 2 teaspoons ube extract, 1/2 cup vegetable oil and 1/2 cup milk. Set aside. 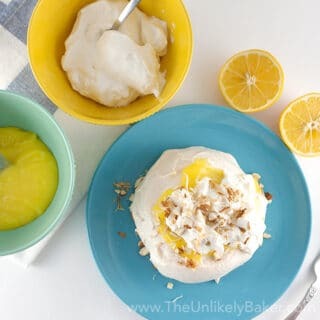 In another large bowl, using a handheld electric mixer, beat egg yolks while gradually adding 1/3 cup sugar until the mixture is light yellow (about 7 minutes on medium-high speed). Add 1/2 cup ube jam and beat until smooth and no big lumps remain. If you want your cake to be a vibrant purple, you can add gel food colour at this stage and give the batter a stir until the colour is evenly distributed. Fold a third of your flour mixture into your egg mixture just until combined. Then add half of your milk mixture, another third of your flour, the rest of your milk and finally the rest of your flour, folding each addition just until combined. Be careful not to overwork the batter. 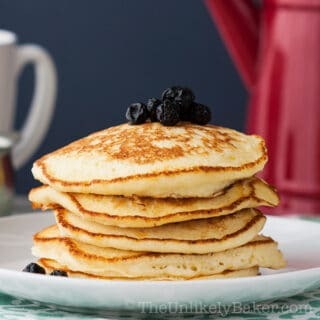 Using a stand mixer with the whisk attachment (or your handheld electric mixer - making sure that the beaters are clean, dry and grease-free), beat the 8 egg whites on medium-high speed until they start to get foamy. Then add 1 teaspoon cream of tartar and beat until very frothy. Gradually add 3/4 cup sugar into egg whites until you reach stiff peaks. Then take about 1 1/2 cups of the meringue and fold it into your cake batter to lighten it. Then fold your cake batter into the meringue in thirds until incorporated. Transfer the batter to prepared pans and bake for 20-30 mins or until a toothpick inserted in the centre comes out with minimal crumbs. Put the pans upside down on a cooling rack and cool completely. 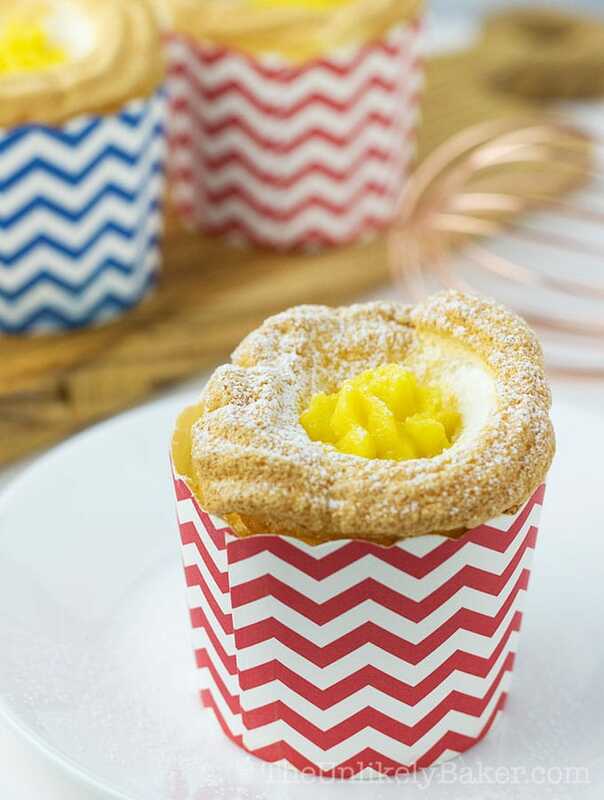 See this recipe on how to make basic Swiss meringue buttercream. Once your buttercream has come together, start adding 1/4 teaspoon ube extract at a time until you get the flavour you desire (I put 1 teaspoon total). Whip until the flavour is fully incorporated and the buttercream is evenly coloured. Trim the tops of your cakes if they are uneven. 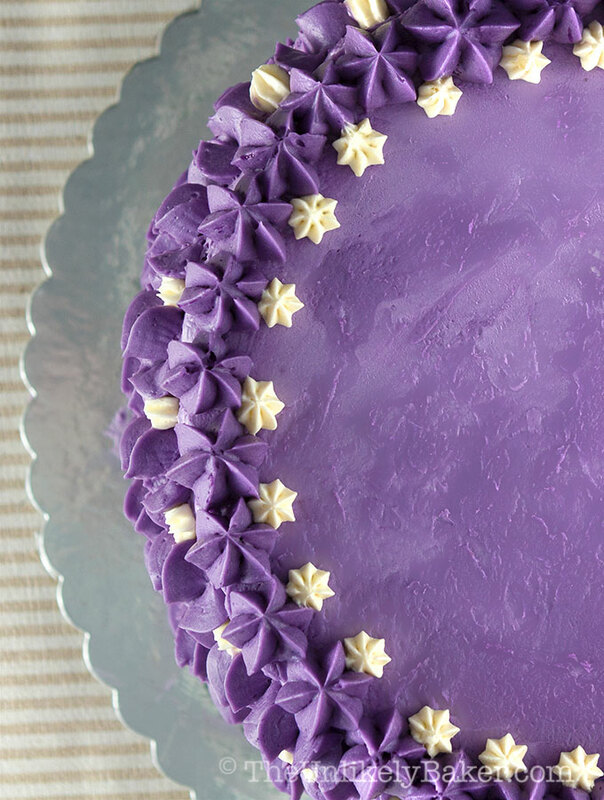 Trim the sides too to get rid of the brown edges so you're left with a vibrant purple cake. Fill and decorate with frosting as desired. You can find ube extract in Asian supermarkets. And there's always Amazon (see below). You may need to adjust the sugar content depending on the kind of ube jam you find. Ube jam can be found in Asian supermarkets as well. (Cake recipe adapted from My Sweet Ambitions). Did you make ube cake? Tell me about it in the comments section below. Have you tried ube before? I’d love to hear all about it. 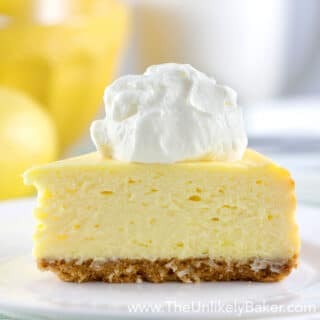 Previous Post: « The Best Lemon Cheesecake. Ever. How many slices does this yield? How many people does it feed?? Thank you! Hi! It largely depends on how big you slice the cake. We’ve served it to as many as 20 people at one point 🙂 Though I’d say 12 is safe, assuming “regular size” cake slices. Do you think this would work as an ube roll with the meringue rolled up in the middle? Hi Ann. Possibly. I can’t say for certain as I haven’t tried though. Hi, I’m a fairly new cook, and am just starting out with more complex recipes. I want to make this cake for a cooking project, and time is of the essence. Do you have an approximation of the prep time for the cake? Also, for the ube jam and ube extract, the closest thing I found to ube jam was “purple yam spread”, but seemingly an equivalent to jam, and the ube extract is artificial, is that okay? Hi Isabelle. As long as you have everything on hand, prep should not take very long. It’s just the egg whites that’s a little tricky but the rest is very straightforward. So I’d say less than 30 minutes to get the batter ready. As for purple yam spread – yes that can work. Just make sure to taste and adjust your sugar because some brands are very sweet. Ube extract is artificial and the exact brand I use is linked on the post. Good luck! I tried this cake and it turned out terrible. The buttercream tasted only like butter. Followed the recipe perfectly and it turned to waste. Hi G. Sorry to hear the cake didn’t work turn out well for you. 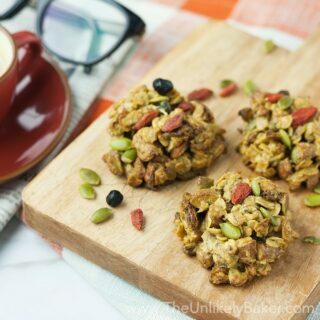 I (and others) have had a lot of success with the recipe and it’s one of our favourites. As for the buttercream – there are 2 cups of butter in there so it is going to take quite a bit of ube extract to get the ube flavour to your liking. I made your wonderful cake for my wife’s birthday and it came out tasting so good, she said it reminded her of being back home in Leyte, there is only one thing missing when I made the cake, I remember when ever I bought a cake in the Philippines the cakes have a different taste then cakes do here in the states, I miss that taste, I’m in my 60’s and that taste is so much better then state side cake, I wonder if there is any cake mix that’s made in the Philippines. Hi Carl. Your wife is a lucky lady 🙂 I’m glad you guys liked the cake! I’m not sure what taste you’re referring to. Could it be the macapuno they typically add on top? As to your question on cake mixes, I haven’t seen one in Canada (where I am) yet. Oh my goodness, this cake is stunning, Jolina! It’s been awhile since I dropped in, but the picture caught my eye on Pinterest. Wonderful work on the icing. I will have to try this, although, I doubt my icing skills will be up to the challenge lol! Take care, Jolina! Hey John! Thank you! How are you guys? Things have been hectic this past few months (we moved – never fun lol) but things are slowly getting back to normal, just in time for the crazy Q4. Hello to Kim! I’m looking to make this cake for my boyfriend’s birthday. He loves ube and is so excited to finally have it in a cake again. Do you know roughly how many cupcakes this recipe would make? I’m nervous it’ll be a deliciously big cake! I also noticed that your buttercream recipe typically frosts a two tier cake, is it enough for this three tier cake? Thank you!! Looking forward to trying your recipe!! Hi Ashley! I haven’t converted this recipe into cupcakes so unfortunately I can only guess. But, I found this guide which I think would really help you > https://www.thekitchn.com/heres-how-to-convert-a-cake-recipe-to-make-cupcakes-instead-tips-from-the-kitchn-219545 As for the frosting, yes it was enough for this recipe. Have fun baking! Would love to see how it goes. I live in gta area, been to T&T , Foody and A1 Premium, but not able to find the ube flavor ectract anywhere. Can you let me know which asian supermarket you found and bought the the extract from. Hi Seb. There’s this small Asian supermarket in Mississauga called Oriental (Dundas and Confederation) and I remember buying a couple there. Ocean’s is also pretty complete. If all else fails, Amazon has it. TBH though, last time I was in Manila I bought several because they were so much cheaper there! So if you know someone going home to the Philippines this Christmas, it would be a good “padala” idea 🙂 Good luck! Hi Abbie. Do you mean the ube extract from McCormick? The recipe does require it. If you can’t find ube jam, you can probably use frozen grated ube or ube powder that you’d need to rehydrate. 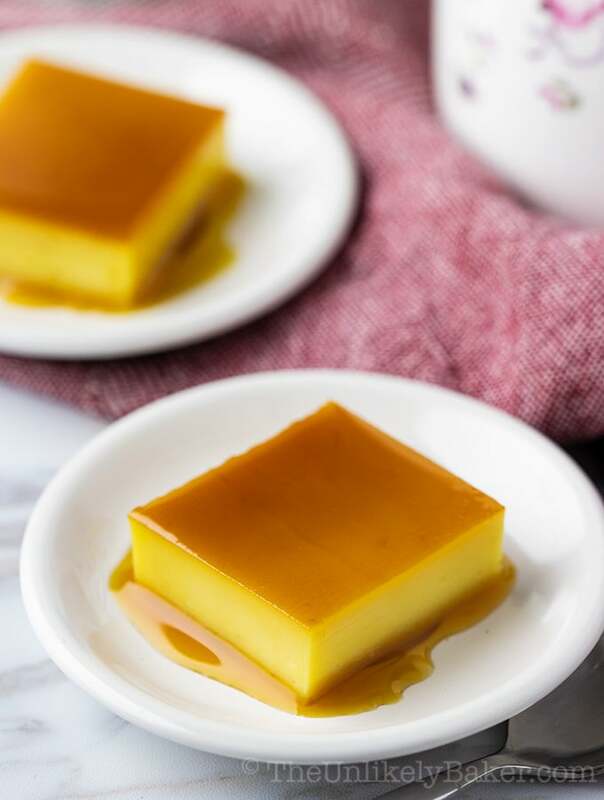 I haven’t used these personally though so I can’t say what they taste like – just see if you need to adjust the sweetness if you do use them in the recipe. Good luck! I made the cake this evening. It was wonderful. I didn’t have ube extract on hand, so I used coconut. After all, a lot of ube cakes are also made with macapuno, which is coconut. Thanks! I just moved to Denver and still new to this whole high altitude baking. Any ideas on how to adjust thw recipe for people like us who lives 5000ft above sea level? I tried your recipe but used homemade ube halaya instead. The cake was light and moist without the overwhelming artificial ube flavor. I really loved it. Thank you for sharing your recipe. Hi, i wanted to ask if i can use the sweet purple yam spread (yun lang available dito) instead of the just plain purple yam. should i modify the recipe, which one? Hi Ann! I actually used ube jam, which I guess is similar to sweet purple yam spread. The ube jam I used was pretty sweet (where are you based now? Do you by any chance remember how the Good Shepherd jam tastes like?? That’s what I used) so I had to adjust the sweetness of the cake. I will try out your recipe for my daughter’s bday. She loves ube!!! I’ve always struggled with frosting! It was nice finding your blog! Ging! OMG HS throw back kung throw back haha! It’s so nice to hear from you. Hope you and your daughter like the cake. Swiss meringue buttercream is by far my favourite frosting and I especially love it here (ube kung ube lol!). PS: Don’t you agree my blog name is so appropriate?? Who would have thought right? Teehee. Totally sending this to my filipina mom! She LOVES ube. It looks so good and festive. It’s definitely something that I would serve during the Holidays. I’m sure it’s going to be a huge hit! hi, can i use McCormick’s Ube Flavor in place of the ube extract as indicated in the ube cake batterrecipe? thanks. WOW, this cake looks so good and I love your photography too! Amazingly delicious. Oh my goodness! Purple is my favorite color! My recent trip to the Asian market prompted me to buy some Korean yams, thinking they were purple yams. I didn’t realize the mistake until I got home. This is such a unique and beautiful cake!! 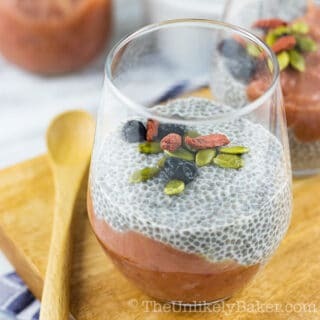 Definitely will be making this soon! Hi Jett! Purple is such a happy colour isn’t it? 🙂 I hope you find the right ube to use, and I hope you like the cake! Thank you! I’m sure it will be a process to find the right ingredients. I am so excited about making this tho’! It this real? It is too gorgeous to be real! Wow! The best post as seen last time. Congrats <3 Love everything about it! Omg!!! This is one gorgeous looking cake!!! so divine!!!! Wow, wow, wow, this is one gorgeous cake! I would love to bake this, and I’m sure I’d just stare at it for a long time. Thank you for sharing with us this week at Celebrate Your Story, have a great week. Love this cake! Hahaha thanks Sandra! I hope you eventually eat it though? 🙂 And I hope you like it! Have a wonderful week as well. What a gorgeous looking cake! I love the lilac colour and the decorating. I bet it tastes as good as it looks. I went to a Philippine event one day with my Filipino friends and they suggested me to try ube ice cream. Oh, so delicious, I could eat two more portion LOL. The taste is special, but really yummy! 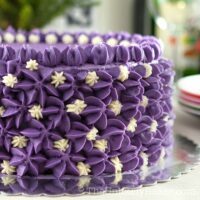 Your ube cake is so pretty! Love the purple color! Ube ice cream is one of my favourites 🙂 It’s hard to describe the flavour though isn’t it? Just that it’s delicious 🙂 Thanks Rose! Hope your Filipino friends get you ube cake one of these days! That’s a real statement cake! So gorgeous! Never heard of that ube and still not quite clear what it is. Thanks Tiina! Ube is yam, so it’s a kind of root crop like sweet potato. Does that make sense? Or did I confuse you more? LOL! I have two friends that are Filipino. They bring food to church but never dessert. I’ll have to ask them if they’ve ever made this. Gosh being a lover of cakes and especially looking ones this one is amazing. It looks devine and mouth watering. The purple colour is to die for. I’d love to taste Ube jam sometime. Love your little tale of how you got the jam. Precious stuff. The ube has me intrigued also. Not come across it myself. The purple colouring is crazy, but I know a friend who would absolutely go nuts for this. Looks lovely. Hi Helen! Thanks! Hope you find ube jam, the good stuff, it’s really quite a unique delicacy. And +1 on purple, such a happy colour! I always have a foodie list when I travel too! There are just too many places I want to visit and too many products to buy! This cake looks and sounds awesome! I can see why it’s a favorite amongst so many! A foodie list is so important isn’t it? Anddddd also the reason why I get fat after every vacation lol! It certainly sounds unlike any other cake I’ve had before! I haven’t heard of ube but the cake looks amazing and I would love to try it! I can imagine it must be rather special at Christmas time. I’ve never heard of Ube before but it sounds fantastic! We have an Asian supermarket around the corner so I am going to check it out. Love the color of this cake, looks delicious. Mouthwatering cake , perfect for dessert. Wow that cake is beautiful! My daughter would really enjoy this cake, mostly cause it is purple! Wow! What a simple cake with such beautiful detail! You did a great job! I have never heard of a ube cake but it looks and sound delicious. I would have to at least try it once to get a feel for this culture’s favorite treat. OMG this looks awesome! I love the purple color! Ive never heard of ube before. Thanks Carrie! Purple is so much fun, isn’t it? 🙂 I do hope you find ube and I hope you like it! Wow, this looks amazing! Not to mention just simply beautiful. When are you going back to Manila? Bring some Ube jam for me too 🙂 I must say your pictures are stunning! Haha I just came back! I need to find good ube jam around here, eh? 🙂 Thanks Robin! Wow! This is one of the most beautiful cakes that I have ever seen. My Grandmama just passed away but purple was her favorite color so this reminds me of her. This is an absolutely gorgeous cake! I want to make this for my sister- cake + purple… I’ll be her favorite person! I say go for it! 🙂 Would love to hear how it goes. Thanks Chelley! Would love to try this, not only visually does it look fantastic, it sounds just as nice!! Wow, this looks stunning. You’re decorating is fab. 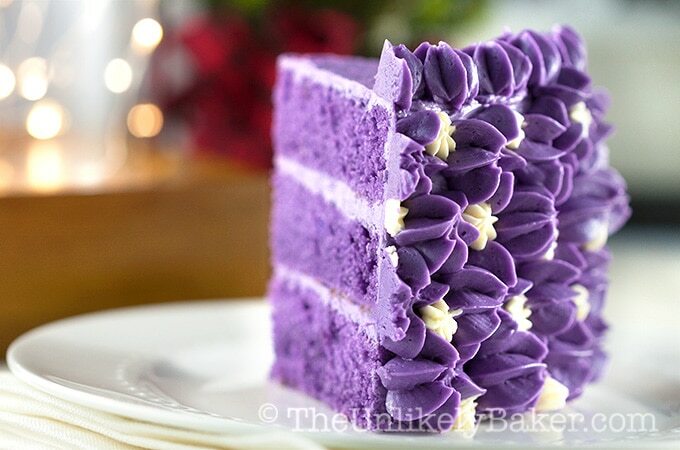 Bookmarked this to try as I’d never heard of ube cake before this post! Thanks for sharing! Haha thanks Liz! I do hope you find a nice ube jam brand. They are not all created equal! If you can find purple yam, you can make your own jam if you’re so inclined (just saying lol!). I’m pretty curious about that taste now! I’m definitely liking the look of the cake and it’s always fun trying out traditional food from different cultures. 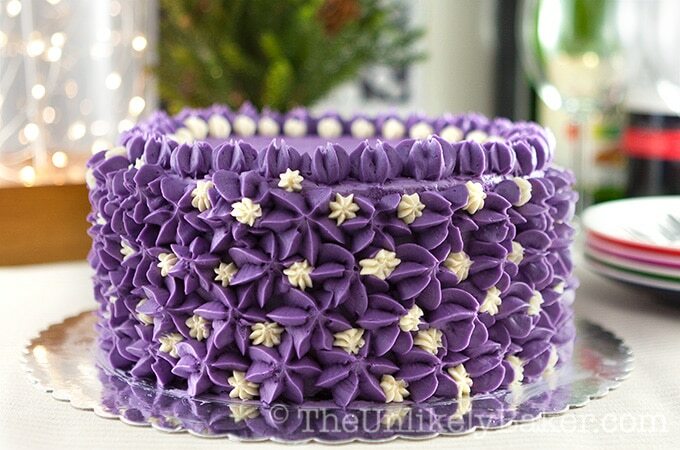 Purple is not my favorite color but this cake just looks delicious. I have tried ube swiss roll but didnt have any flavor other than being sweet. But looks like I have to hunt for some ube jam now!!! Thanks Suchi appreciate it! 🙂 Sorry to hear about the ube roll…I hope you find a really good quality jam so ube can redeem itself! This purple cake is too gorgeous for words and I am now so curious as to the taste of this ube which I have never heard of before. Thank you Tania 🙂 I have no idea if you have Asian supermarkets there? Or perhaps you have Filipino friends who you can…encourage…to swipe you some homemade ube jam lol! It’s quite mysterious isn’t it? 🙂 Thanks Dawn! This was a labor of love I must say. I mean, I had to let go of my last ube jam tub so I might have cried a little teehee. Hope you’re having an awesome week!